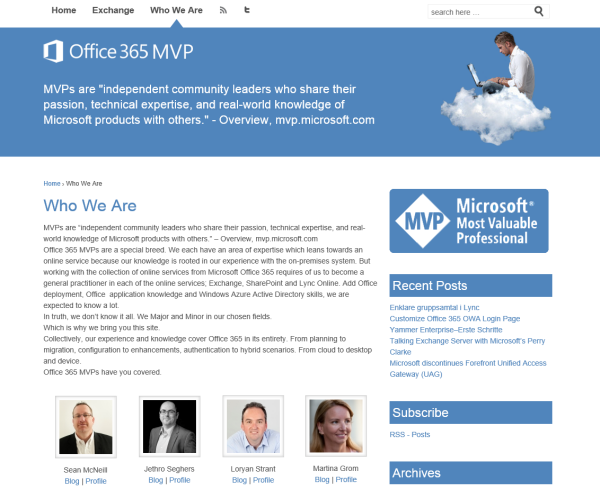 We´re happy to contribute to the new website of the Office 365 MVP community at http://www.office365mvps.com! This cool website was created by Darrell Webster and combines the blog feeds of the most known Office 365 MVP´s - worldwide! There are also some other MVP´s who share their expertise in the Office 365 products Exchange, SharePoint, Lync and Azure Active Directory. More information about the Microsoft MVP award program can be found here. It´s HTML5 and responsive for a good user experience on smartphones. 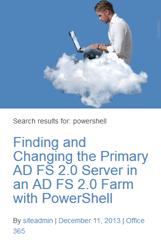 See also some more sources with #Office365 Know How! Additonally Jethro Seghers created and fills the Tipp of the day Blog with a daily post about Office 365 tips, 365 days a year! For Tipp of the day Blog we programmed a Windows 8 App and a Windows Phone 8 App. 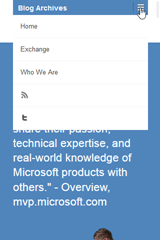 Then there´s the Office 365 FM Podcast web hosted by Loryan Strant. In 2010 we´ve created a cloudusergroup fanpage on Facebook where we put in a lot of tips and news about cloud computing! 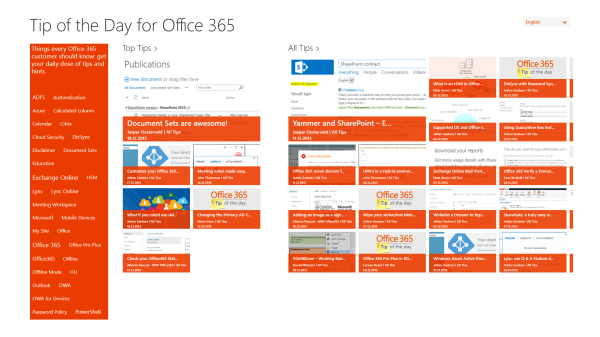 So, a lot of stuff about Office 365 news and know how! 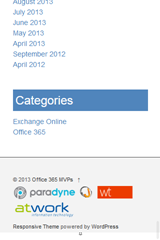 We´re happy if you find useful information and being part of the Office 365 international community! Stay tuned for news and updates on all our channels #office365!